Afghanistan Security Situation Deteriorated In 2015, Pentagon Report Says : The Two-Way The new report says there was an uptick in Taliban attacks and casualties among Afghan forces. It also says ISIS is becoming a greater threat in that country. 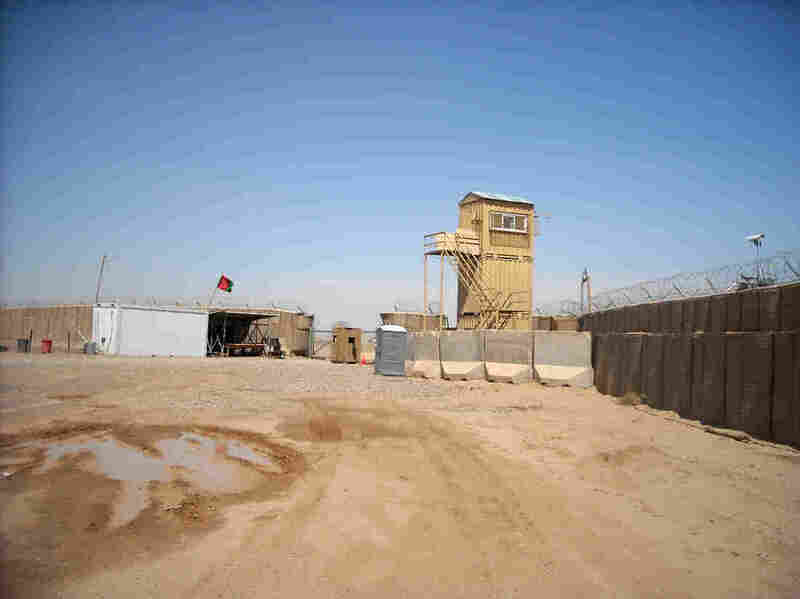 An Afghan military base, left, and an American military base at Camp Garmser, Helmand province, in southern Afghanistan. A new Pentagon report says the security situation in Afghanistan has deteriorated during this year's fighting season, with more Taliban attacks and higher casualties among Afghan forces. The report also says ISIS is becoming a greater threat in that country. "This was the first year that Afghan forces led the fight against the Taliban. And the insurgent group, the Pentagon report says, remains resilient. "Attacks in Kabul increased 27 percent this year over 2014. And the Taliban continues to make gains in rural areas. Still, the report says, the Taliban were unable to accomplish major operational or strategic victories during the past year. "The casualty rate among Afghan forces rose more than 25 percent, the report found. Meanwhile, ISIS is making inroads in eastern Afghanistan, and for the first time has started mounting attacks." The report also reiterates the reasoning behind Obama's October decision to delay the withdrawal of troops from Afghanistan. The report says the decision to leave the current number of troops — 9,800 — in the country through 2016 gives U.S. forces the ability to both assist Afghan forces and support "counterterrorism operations against the remnants of al Qaeda and its associates."